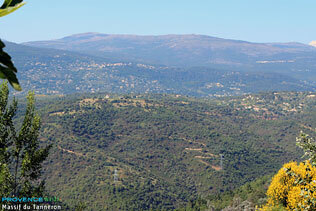 On route D38 which goes to Auribeau sur Siagne (8km.). 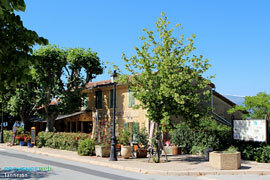 Tanneron is a quiet little village situated in the extreme east of Var, next to the Alpes Maritimes. It is the capital of the Tanneron Massif so well known for the abundance of its fine mimosa. Don't miss the beautiful composition of yellow foliage during the flowering season from January to March. 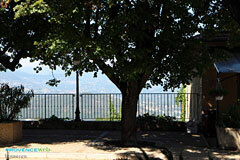 Medieval chapel Notre Dame de Peygros (above the village), terrace with fabulous view. Excursions : Lake Saint Cassien with water sports (no motors). 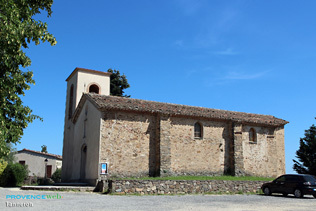 Montauroux (15 km), Les Adrets de l'Estérel (18 km).